NX 2 - OBSIDIAN Control Systems - Products - Elation Professional B.V. 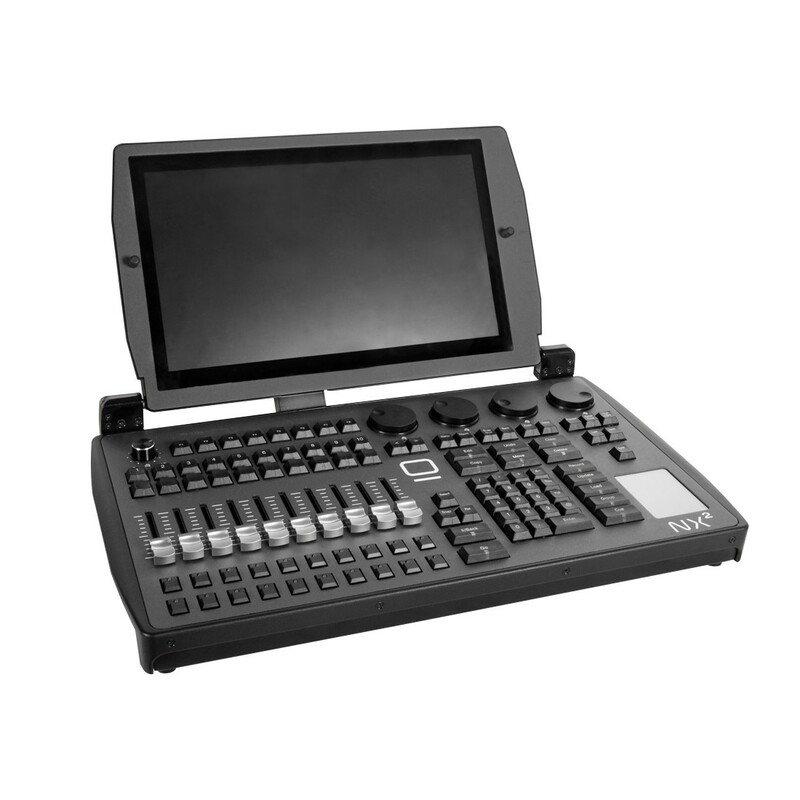 The NX 2 is the ultimate compact yet powerful fully integrated lighting controller. 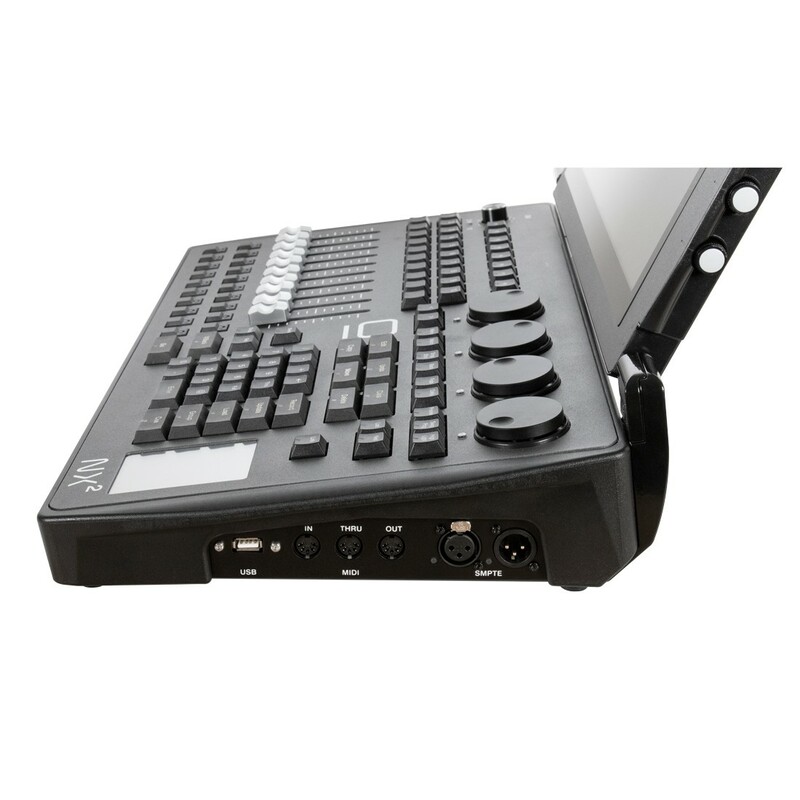 As a member of the innovative ONYX platform from Obsidian Control Systems the NX 2 is feature rich and never restricted in its capabilities. 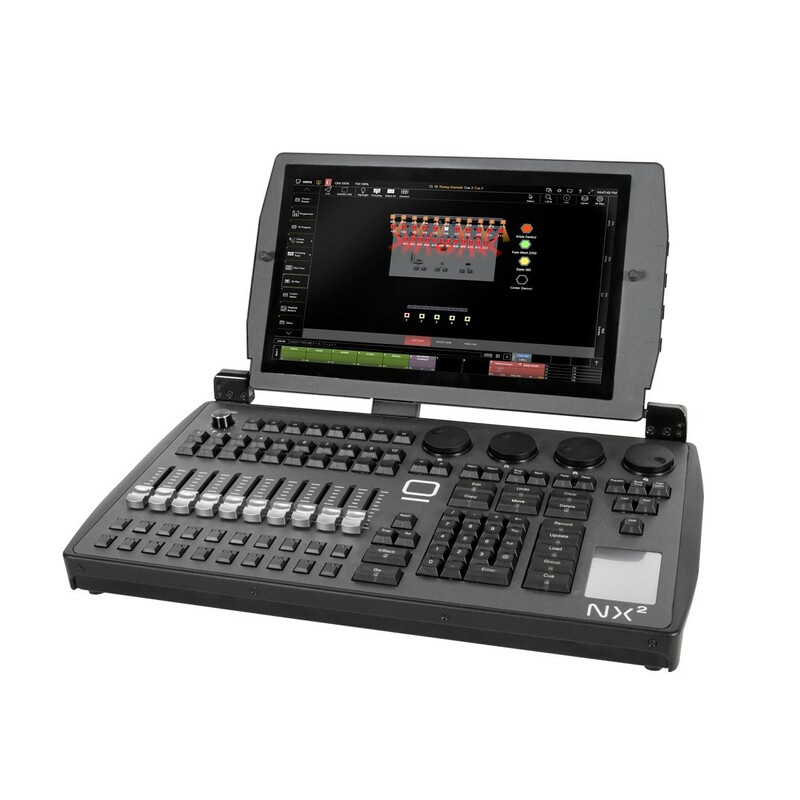 NX 2 includes a high brightness Full HD multi touch screen, 8 assignable parameter encoders, an assistive mini touch screen, full keypad and command section, a dedicated grand master and 10 full playbacks with four freely assignable buttons. 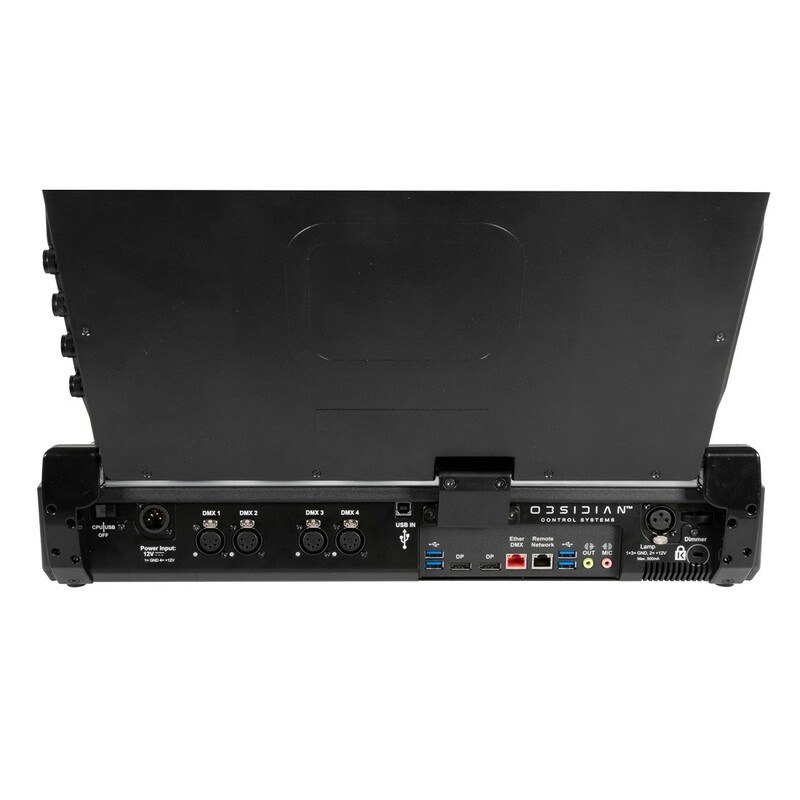 Utilizing the latest in industrial components the NX 2 contains a powerful new Intel Hexa-Core processor, high speed NVMe SSD drive and 16GB of DDR4 RAM. Fast boot times, instant operation and the ability to process 64 Universes right inside the console without the need for costly external processing networks result in unprecedented power in this form factor. 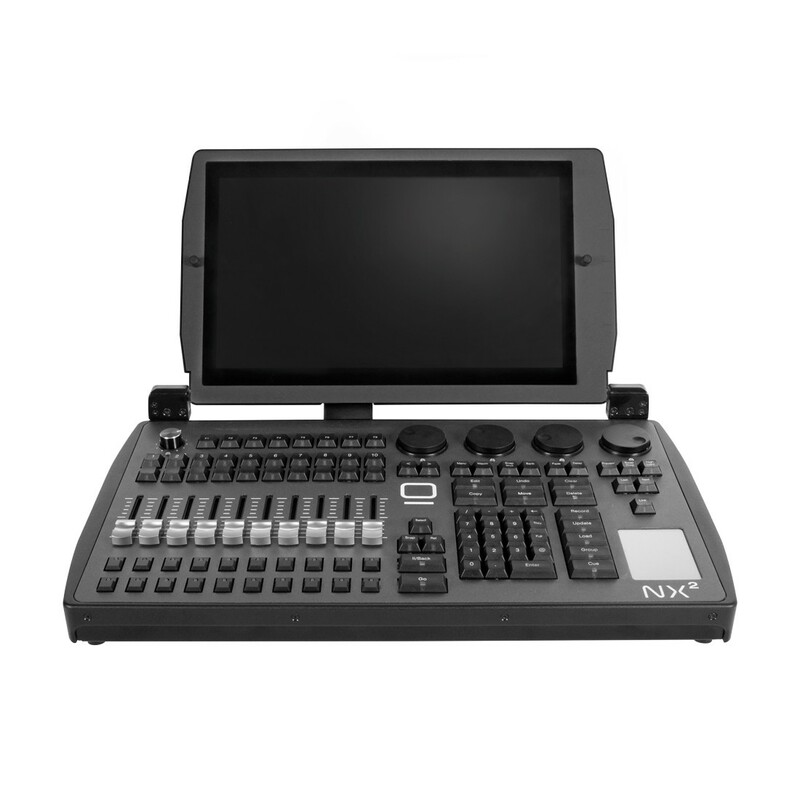 The NX 2 is ergonomic with its compact footprint, full ONYX command and keypad section and the bright adjustable HD touch screen. It is always ready to run the largest shows and events at a moments notice. RGB LED desk lamp, angular XLR connector, 22"